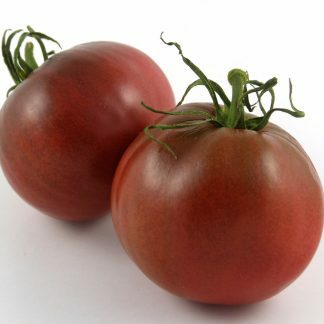 “Sugar Plum Fairy” is a beautiful plum colored, small to medium sized salad tomato with a “mysterious past.” I received a packet of mixed seeds from Tom Wagner’s seed business, to use in a children’s project. 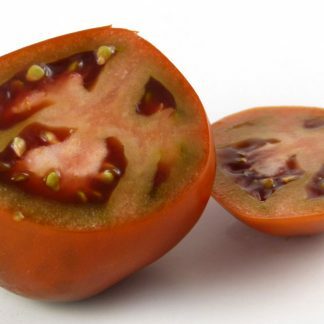 One of the plants that grew from these seeds was this plum colored beauty, and it had a deliciously sweet and smooth rich flavor. I searched forums and websites and Mr. Wagner’s listings, but did not find a variety to match. 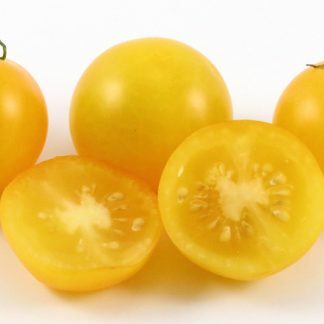 I have now grown this five seasons (twice a year), and it has not varied in appearance, flavor, or habit. 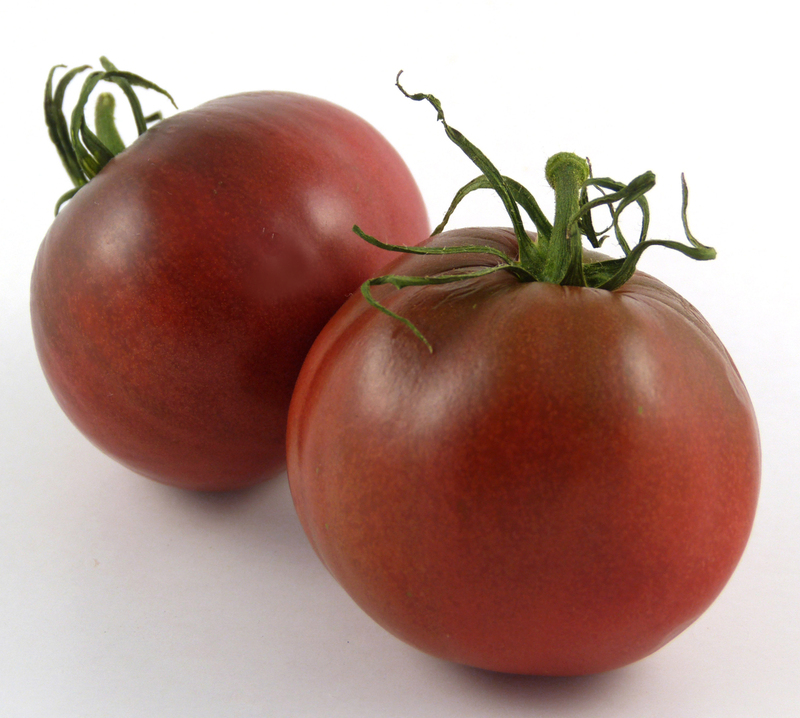 It is a purple tomato, and I have verified the clear epidermis at each growing. I decided to name the variety and list it, as it is too good not to share. As it made me think of the term “sugar plums,” I called it “Sugar Plum Fairy.” I hope you will enjoy it as much as I have. 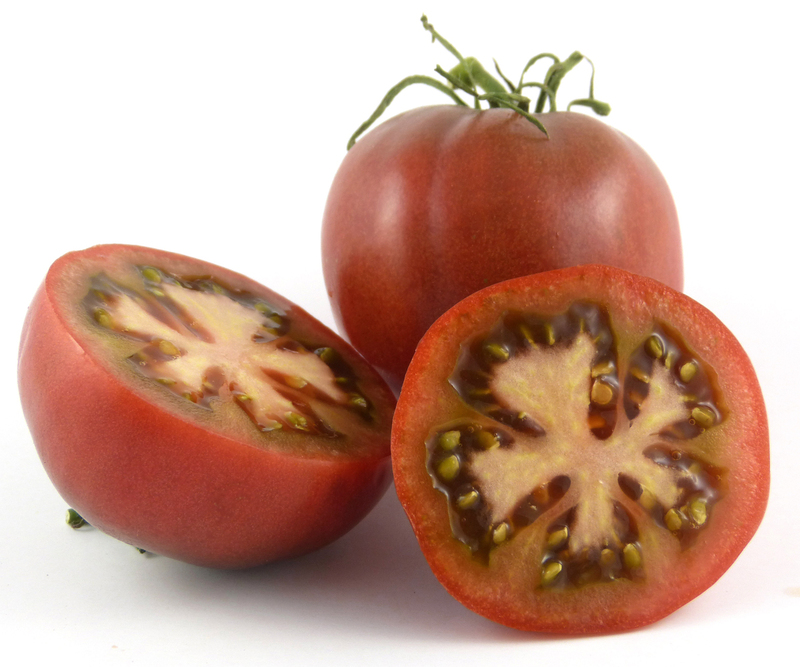 As with any other tomato, the flavors will dilute if overwatered during ripening.